Blue Mountain Forest State Scenic Corridor lies along the Old Oregon Trail Highway between Deadman's Pass and Spring Creek. 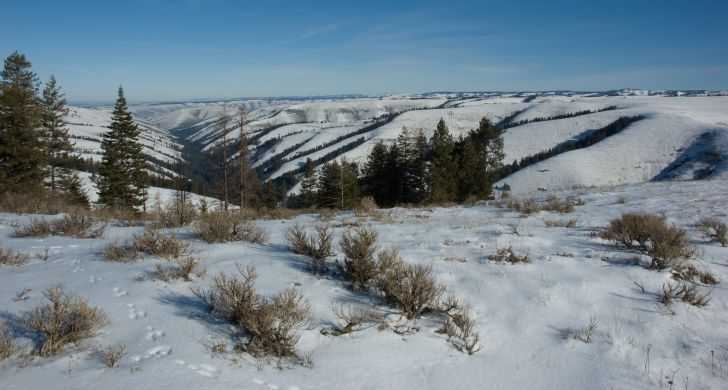 The corridor protects one of the few examples of mature evergreen forests on I-84 between Ogden, Utah and The Dalles, Oregon. Composed of intermittent stands of old-growth ponderosa pine, western larch, Engelmann spruce, lodgepole pine and grand fir, this corridor contains undisturbed examples of the native plants and animals. 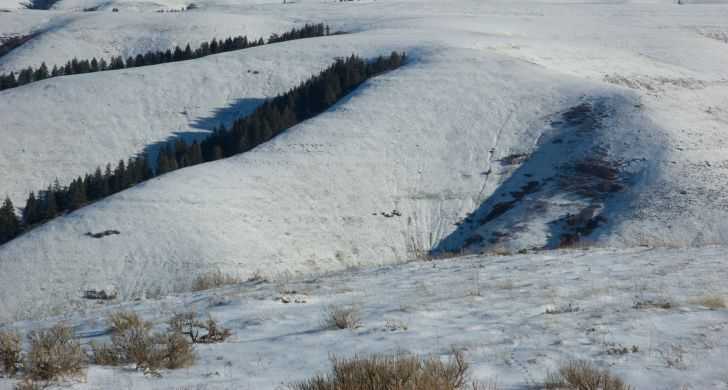 White- tailed deer, mule deer, Rocky Mountain elk, cougar and other wildlife inhabit the corridor. Spring explodes in a multi-hued kaleidoscope of flowers. The fall frost ends the season in a final flurry of color. Take a break from the freeway and enjoy nature's beauty as you pass through this section of the Blue Mountains.